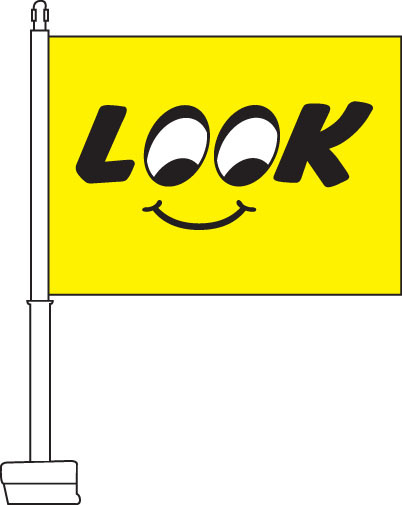 Our Look Car Flags feature a yellow background with black text reading "Look." 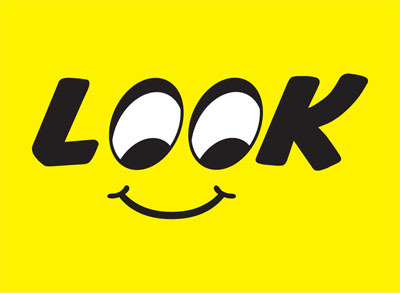 The o's in the word look are designed to look like eyeballs and beneath the word "Look" is a smiley face to complete the design. 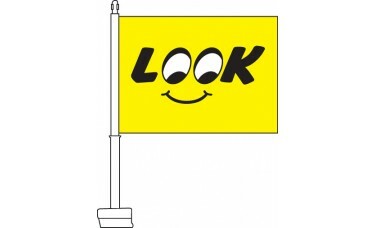 These car flags are a great way for any car dealership to attract new customers.